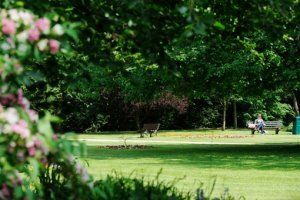 This quiet oasis is just off the High Street and is accessed via the ornamental gates between Layston Court House and the Newsagents. You can also enter from Pigs Nose across the bridge spanning the River Rib. These were part of the original house grounds and are owned by East Herts District Council. By agreement, Buntingford Town Council maintains them. The gates are normally opened early in the morning and closed around dusk. Being a Garden, no ball games are allowed and dogs must be kept on a lead. The flower beds are freshly planted twice a year. This is the largest of the Open Spaces and is located along Bowling Green Lane just past its junction with Norfolk Road. It houses the Pavilion and the Scout Headquarters, the latter being owned by the Scout Movement and on land leased from the Town Council. 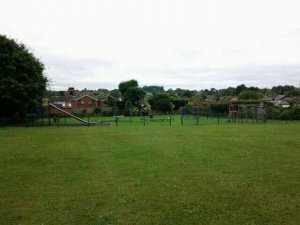 The Pavilion is managed by Buntingford Cricket Club who maintain the cricket square. The remainder is maintained by the Town Council. There is accommodation for two football pitches with changing rooms in the Pavilion. The floodlit Multi-games facility is used for football, tennis and hockey. There is a Skate Ramp again with floodlights allowing use into the early evening. 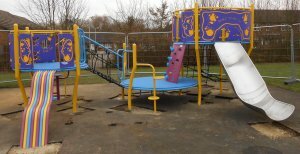 A Children's Play Area provides a variety of equipment for the middle to older age group. This is attached to the Seth Ward Community Centre which house changing rooms and showers. The field itself supports two football pitches and there is a small Children's Play Area mainly for the younger element. 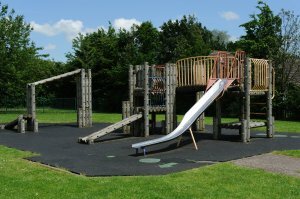 The smallest of our areas, it has a large recreation space plus a Children's Play Area which is aimed at the middle age group. It is accessed from Snells Mead or Carter's Close. The eastern end houses the Millennium Wildlife Area.